I feel I should start by telling you just how much I detest musicals. In fact, I have walked out of most West End productions utterly irritated by songs-for-the-sake-of-songs and their spineless dramas. But what we saw last night at Hampstead Theatre was of a completely different ilk and nothing short of a total triumph. 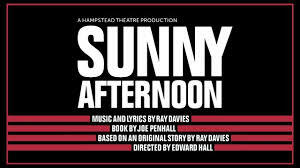 Sunny Afternoon, directed by the Hampstead-saving Edward Hall, charts the rise of the band The Kinks incorporating the music and lyrics of lead singer and songwriter Ray Davies while based on a new book by Joe Penhall, the Olivier-award winning playwright. The team at Hampstead theatre has worked round the clock rehersing for 5 weeks to produce what is their first ever musical, with some theatre buffs claiming that this time Hall has taken on more than he can chew. 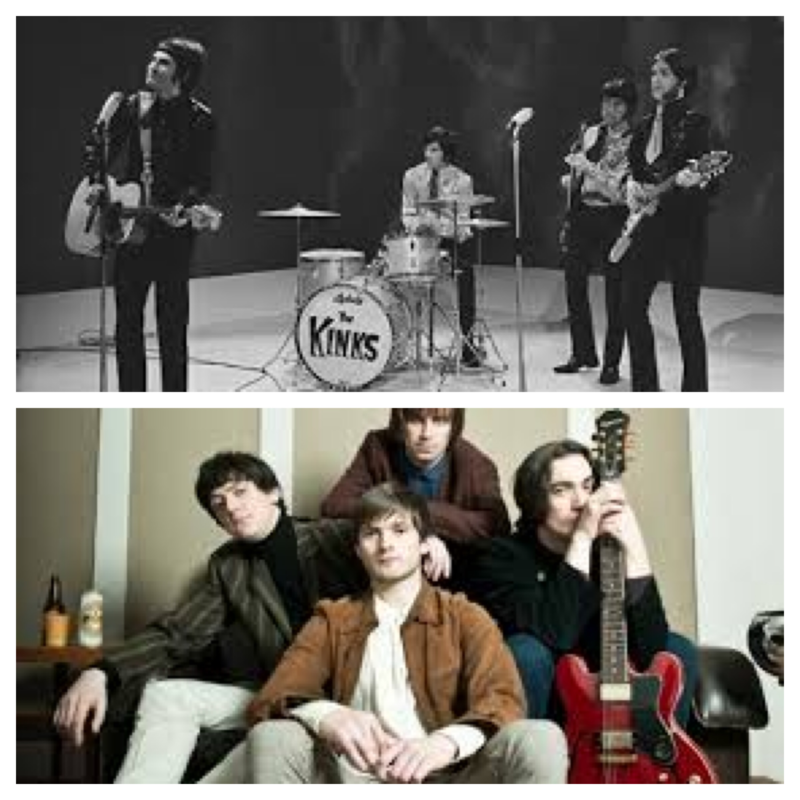 But The Kinks’ back catalogue lends a huge helping hand as the variety of songs with their evocative lyrics tells their true story of a talented working class band’s quick rise to fame in the swinging 1960s. Ray Davies (played by the seriously talented John Dagleish) is very much present throughout the show. I hadn’t realised he was in the audience until afterwards but his sensitive acoustic duets along side the full-on concert-style performances draw in each and every one of the 328-strong audience. By the end the toe-tapping hardly-rocking Hampstead oldies were up on their feet jiving with the rest of us. George Maguire as Dave and Lillie Flynn as Ray’s wife Rasa are both also exceptionally good flitting from some great acting before breaking into some first class tunes. Left elated by the sheer concert-feeling of this moving and sentimental show, the 4 of us stuck around in the bar to have a drink and mix with the cast, Ray and Edward Hall as they drifted out. 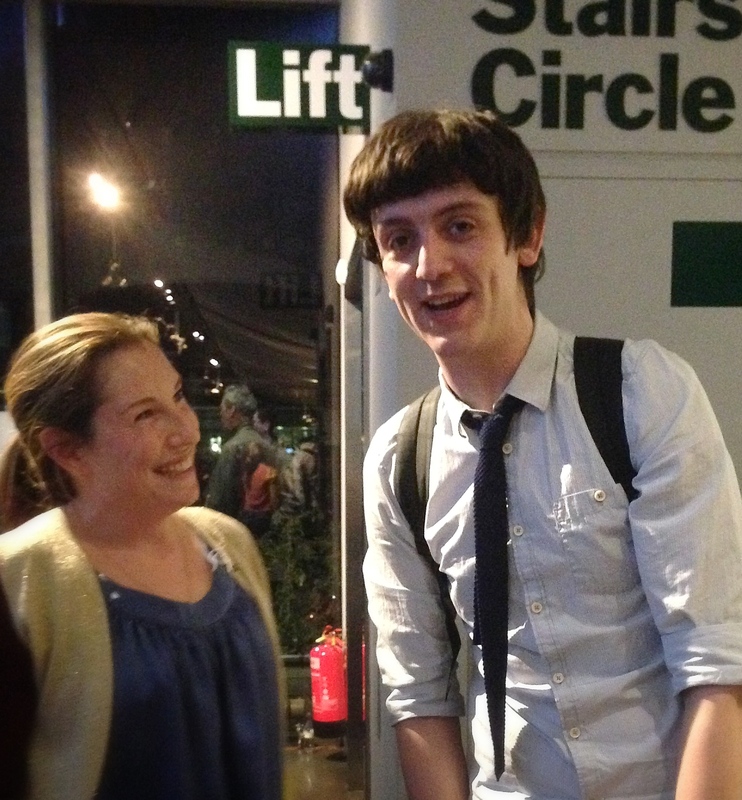 Hampstead theatre must be one of the few theatres you can feel so completely at ease with the talent. 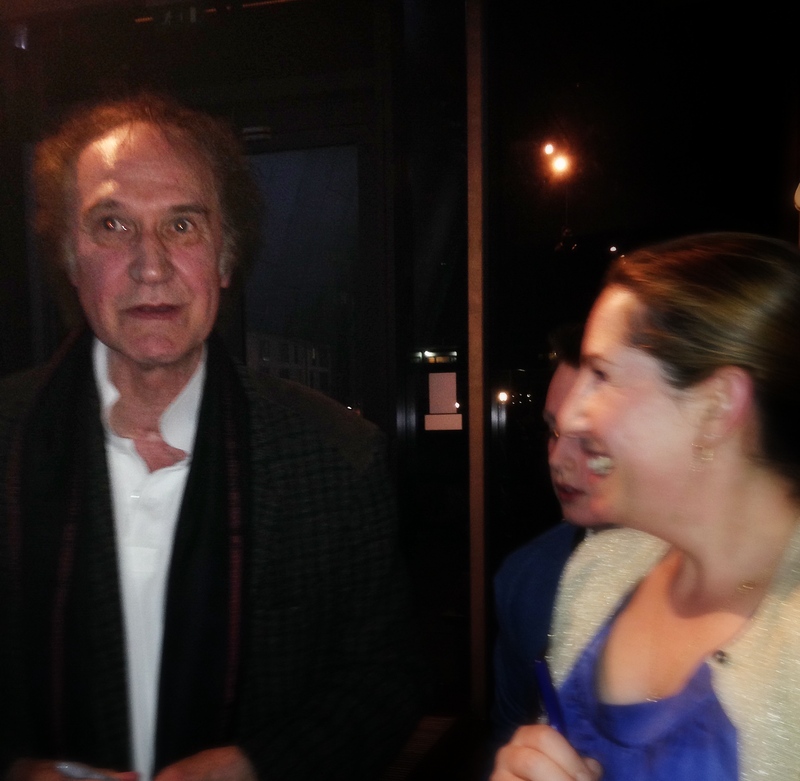 chatting to John Dagleish – all photos taken by the super-dooper Juicy Lucy. A local story no less (The Kinks were from Muswell Hill), this is a world premiere of what will be, I am absolutely sure, a massive West End hit. Book today though as good news travels fast and there are only a handful of tickets are left. Sunny Afternoon runs until May 24th.